Working at Welcome House is a challenging and rewarding occupation. There are many diverse and talented individuals that make everything happen. Below is a list of just some of those individuals. Tony Thomas has dedicated his career to helping individuals with Intellectual and Developmental Disabilities (IDD) reach their maximum potential and enjoy a balanced, richer life. As Executive Director of Welcome House he has created a model residential and supported living program that promotes independence and community connections. He directs a staff of over 300 and the operations of 31 residential homes and numerous individuals living independently. To serve the aging population with IDD Tony established The Michael T. George Center for Community Living and The Welcome House Community Center, a comprehensive day activity programs for adults with IDD. Recently he initiated Life Planning Conferences for families and caregivers to educate them on best practices for future planning. Additionally Tony is active in the National Alliance for Direct Support Professionals (NADSP), a leading national advocacy group that he helped establish and he is president and founding member of the Ohio Alliance for Direct Support Professionals (OASDSP). He has assisted in developing the first statewide credentialing and certification program in Ohio for direct support professionals. 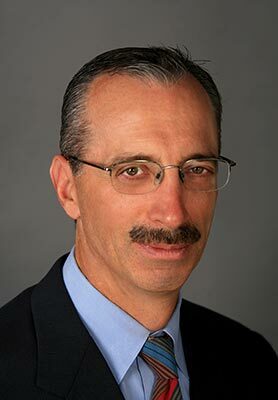 Prior to joining Welcome House, Tony served as the director, community services and residential facilities at the Jewish Family Service Association of Cleveland (JFSA) for twelve years. Earlier he served as a social work supervisor at the Cuyahoga County Board of Developmental Disabilities and case manager for the Ohio Department of Developmental Disabilities. He earned a Master of Science in social administration from Case Western Reserve University and a Bachelor of Science in social welfare from Ohio State University. Carriann Pafford is chief financial officer of Welcome House, Inc. In her new role, she serves as a member of senior management and is responsible for the financial direction of the organization and all related policy decisions. 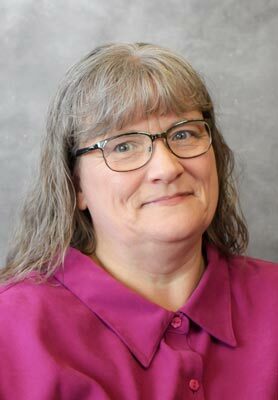 Carriann brings outstanding leadership skills and an excellent track record in financial management, especially in non-profit agencies serving adults with Intellectual and Developmental Disabilities. 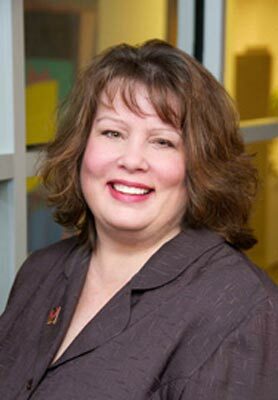 Carriann offers 23 years’ experience in public accounting, specializing in non-profit leadership. Most recently, Carriann served as the Controller and interim Vice President of Finance for Koinonia Homes in Independence, Ohio. She handled overall administration of internal accounting as well as all financial matters for the large nonprofit agency. Prior to that, she was the Chief Financial Officer for the Far West Center in Westlake, Ohio, where she managed all financial aspects for the small nonprofit agency. Her public accounting experience included working for McManus, Dosen & Co. in Middleburg Heights and The Robert Halliday Co in Solon. 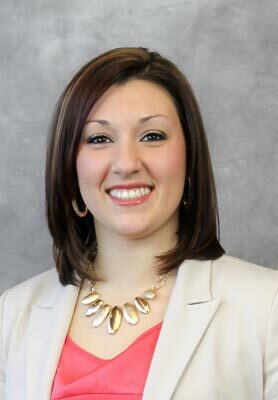 Carriann is a member of the Ohio Society of CPAs. She is a graduate of Cleveland State University and currently lives in North Olmsted, Ohio. Bobbi Burkey is the Program Director of Welcome House, overseeing social services, quality assurance manager and QDD staff. She manages client services and handles the development of new programs to improve clients’ quality of life. 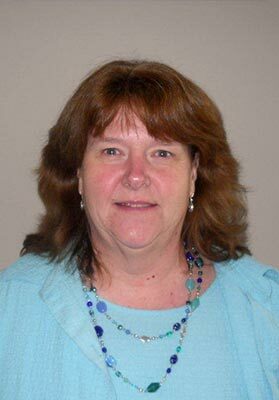 Prior to joining Welcome House in 2001, she served as habilitation supervisor with Cuyahoga County Board of MRDD and as a Behavioral Specialist with another agency. Earlier she served as supported living manager and program specialist with the West Haven Foundation, the precursor to Welcome House. She holds a Bachelor of Science from Cleveland State University. Meg Nachtwey is Director of Fund Development at Welcome House. Her work focuses on developing relationships in the community, fund raising, grant writing, planning, and volunteer management. She joined Welcome House in this capacity in 2012, after previously serving on the Welcome House Board of Trustees. Prior to joining Welcome House, Meg served as fund development director at several area nonprofits. She also worked as an independent consultant to develop the fundraising capabilities of her Northeast Ohio client organizations. Meg earned a Masters in Nonprofit Organizations from Case Western Reserve University and a Bachelor of Arts from Hillsdale College. 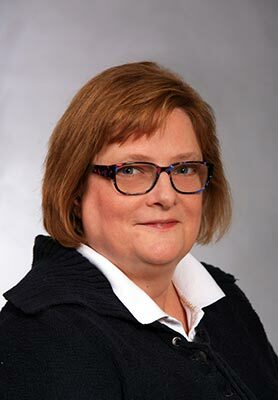 Janice Kasson is the Director of Residential Services at Welcome House and is responsible for the overall functioning of group homes, coordinating care with managers, team leaders and nursing staff. She monitors client services and advocates for the needs of each client, making sure that each person’s mental, physical and social needs are met to maximize their potential for a well-balanced life. Janice joined Welcome House in 1987 and has served as operations manager, supported living manager and also handled residential direct care. She was named Welcome House Employee of the Year in 2001. 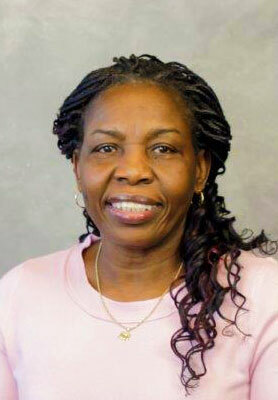 Dedicated to enhanced staff credentialing, Janice served as Welcome House’s PATHS coordinator for 2012. She attended both Cleveland State University and Cuyahoga Community College. Ina Bailey-Bryan is the Director of Residential Services at Welcome House and is responsible for the overall functioning of supported living sites, coordinating care with managers, team leaders and staff. She monitors client services and advocates for the needs of each client, making sure that each person’s mental, physical and social needs are met to maximize their potential for a well-balanced life. Ina joined Welcome House in 2014, but has 28 consecutive years in the field. Ina is a graduate of St. Joseph’s Teacher’s College in Jamaica. Following a career teaching grades 3 – 6, she immigrated to the United States and began working in human services. She also attained a Bachelor of Arts degree from Notre Dame College of Ohio in human resource management. Ina lives in South Euclid, Ohio. Chief Administrative Officer, Janine Eterovich manages human resources initiatives for the agency to ensure that the needs of Welcome House clients are met. 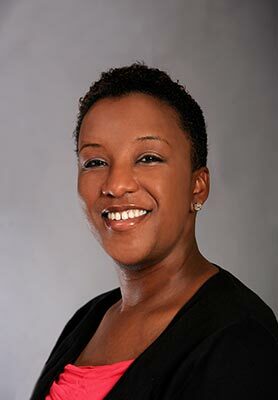 Her work focuses on interpreting Personnel Policies for employees, retention efforts, benefits administration, wellness initiatives, workplace safety, responding to unemployment claims and compliance with all employment and labor laws. Janine also oversees all administrative functions of the agency. Prior to joining Welcome House, Janine managed human resources for 12 years for two Fortune 500 companies. Janine is also an author of three children’s books and owner of C & L Creative Books LLC. Her goal for writing is to incorporate both her creativity and extensive human resources background into books for children to assist them through family life issues. She earned a Bachelor of Business Administration Degree from Kent State University. Caille Taylor is the Officer of Residential Operations at Welcome House and is responsible for leading and managing a comprehensive array of residential and nursing services. She leads the five Residential Directors, overseeing 45 locations, over 200 clients and 350 staff. 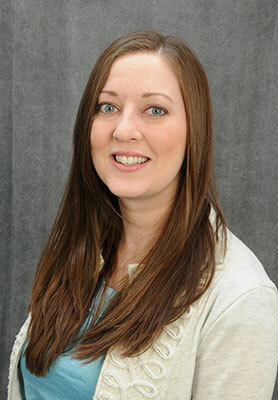 Caille joined Welcome House in February of 2011 and was promoted from Assistant Director of Residential Services in August of 2012 to Residential Director and to Officer of Residential Operations in June 2015. She received her Bachelor of Arts from New York University in French Studies and her Master of Business Administration from Case Western Reserve University. Kiley Rerko is a Residential Services Director for Welcome House and is responsible for the overall functioning of group homes, coordinating care with managers, team leaders and nursing staff. She monitors client services and advocates for the needs of each client making sure that each person’s mental, physical and social needs are met to maximize their potential for a well-balanced life. She oversees 8 sites on the west side. Kiley joined Welcome House in 2012 as an Assistant Director of Residential Services and was promoted to Director in 2014. She received her Bachelor of Science in Communication Disorders from Bowling Green State University. Kiley lives in North Royalton, Ohio. 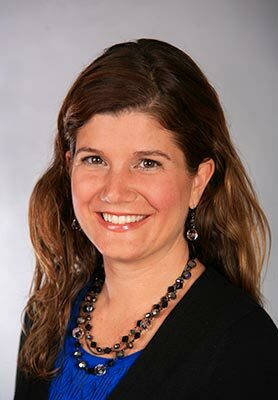 Erica Giaimo has served as Quality Assurance Manager and Director for Welcome House, Inc. since 2009. She is responsible for the continuous monitoring of Welcome House’s client services and assisting the agency to realize its goals of providing high quality care and support of individuals with IDD. She develops and manages policies and initiatives to monitor ongoing quality, including compliance with all regulatory requirements. Prior to joining Welcome House, Erica counseled individuals with IDD and autism. Erica earned a Master of Arts degree in clinical psychology from Cleveland State University and a Bachelor of Science degree from Southern Illinois University. She served as a graduate teaching assistant at Cleveland State University and a research assistant at Southern Illinois University. Margie Ridenour is the Social Worker at Welcome House and is responsible for new admissions, working with families and referral sources to determine the appropriate placement for each individual. Margie provides counseling to Welcome House residents, coordinates services, provides social work support to residents and their families and coordinates special programs for the agency. Margie is licensed in the State of Ohio and has earned a Bachelor of Science in social work from Cleveland State University. She has served in various client advocacy and counseling positions throughout her career. Prior to becoming a licensed social worker Margie worked at Welcome House as a Direct Support Professional for three years. Margie is also known as an artist and photographer. Her work has won several awards in juried shows throughout the country and has been used in promotional literature.